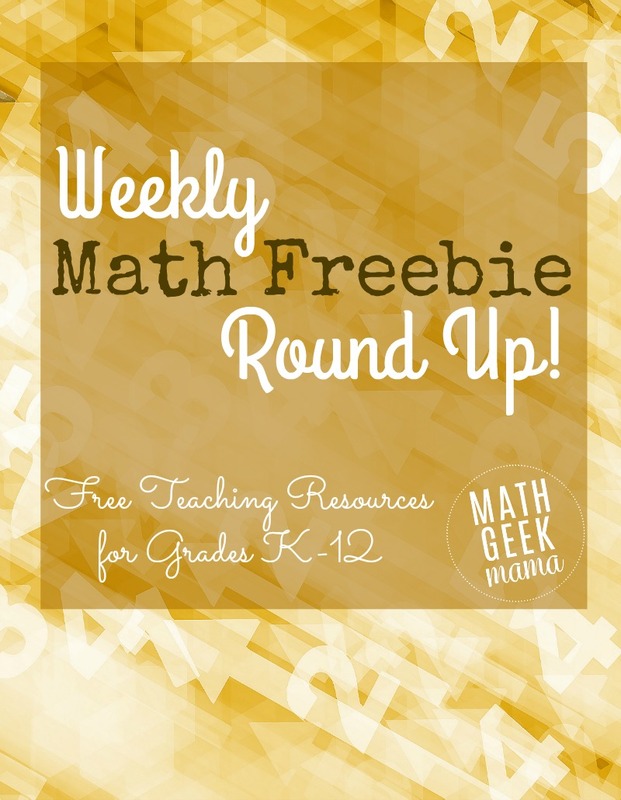 Welcome to the weekly round up of math teaching materials from around the web! 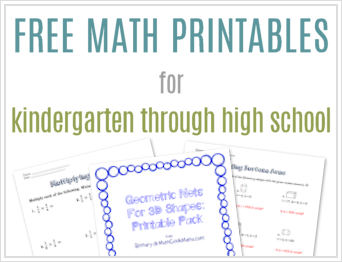 Each week I gather the best math resources I can find for grades K-12 and share them with you! Have a fun resource to share with other educators? 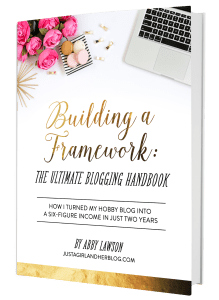 Send me a link–I’d love to check it out! 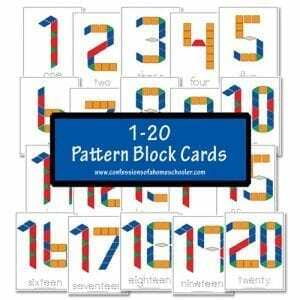 I love these number pattern block pages from Confessions of a Homeschooler! This is such a fun, hands-on way for kids to practice number recognition as well as number words! I also love this cute Super Hero graphing activity from Life Over C’s! This is a fun introduction to data collection and graphing. 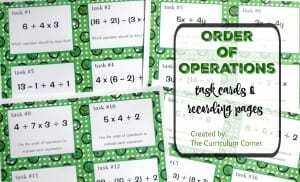 This set of task cards is a great way to introduce and practice order of operations. Also included is a recording page for student’s answers. I love this printable interactive notebook set for understanding and classifying quadrilaterals. 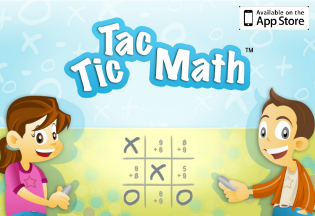 This can easily be adapted for older or younger kids! 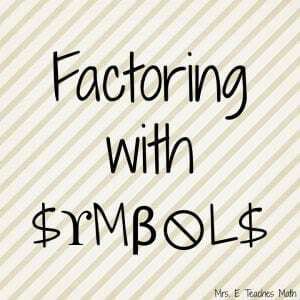 I love this idea of factoring with symbols. This is a great way to help kids understand factoring in a more conceptual way and understand that variables simply represent unknown numbers. Grab the free worksheet and try this out with your students! Want some fun President’s Day math? Try this lesson from Yummy Math (and maybe incorporate the use of technology with the Desmos calculator).